A raw development site in the heart of the Surry Hills' dining mecca, surrounded by celebrated eateries including Bourke Street Bakery and The Book Kitchen, has hit the market for the first time in over 22 years. 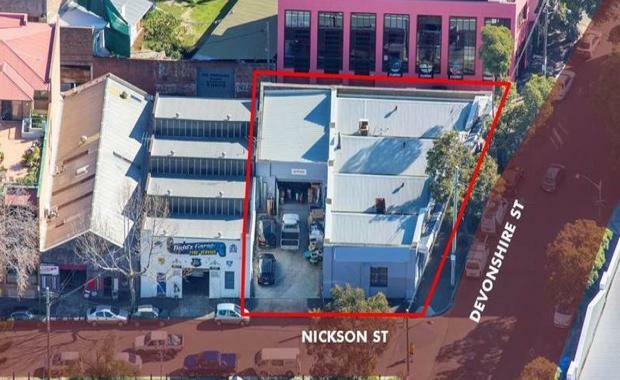 Located at 249 Devonshire Street, the 532sqm site features three street frontages, north-east facing aspect and extensive development potential underpinned by flexible B4 mixed use zoning. The site further benefits from the Sydney light rail development, which upon completion, will travel along Devonshire Street and improve transport links in the area. The site offers a prime inner city location in direct proximity to Surry Hills' retail, transportation and dining hubs, whilst maintaining a quiet atmosphere facilitated by nearby parks and surrounding prestige residential properties. Gemma Isgro and Anthony Bray of CBRE are negotiating the sale via a public auction on 1st September 2015. Ms Isgro said given the high level of buyer interest in the Surry Hills area recently and the strength of the residential development market, the property's private owner occupier had deemed it an ideal time to sell. "The outstanding location combined with the rarity of development opportunities of this nature in the inner city should contribute to an extremely competitive sales campaign. "The site's strategic position will extract interest from local, national and offshore developers, which will only be further enhanced by the light rail's construction," Ms Isgro said. "Surry Hills is quickly becoming one of Sydney's most successful development precincts, but sites are becoming increasingly rare. The most recent residential project, 1 Lacey Street, demonstrates the extraordinary level of interest for residential properties in the area - with 250 prospective buyers inspecting by invitation securing 45 apartments prior to the formal release."